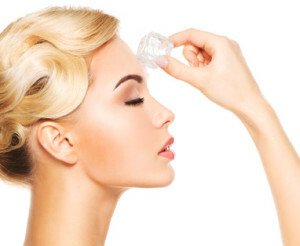 Botox has never had any true non-toxin or non-injection competition, but there are new wrinkle busters out there. Here are some pretty interesting technologies that are designed to compete with today’s neurotoxins like Botox, Dysport and Xeomin. Radio frequency has been used for years for skin tightening and skin resurfacing. It’s now up for also selectively relaxing the motor nerves that control facial muscles. Called NeuBelle, the treatment is also referred to as Glabella Furrow Relaxation (GFX). Patients are treated in-office with a fine probe inserted into the skin which delivers the RF energy. Neubelle is said to last up to 12 months. Another radio frequency procedure called ThermiRase. The special protocol will disable the nerves which control the muscles responsible for glabella frown lines. This procedure applies radio frequency energy to selected nerves with a probe that creates lesions on the targeted nerves. The novel iovera° treatment uses the Focused Cold Therapy™ delivery system and the body’s natural response to cold — and nothing but cold — to temporarily relax the muscles that cause forehead wrinkles. Think of it as “cold shots”. Liquid nitrogen super-chills a closed end cannula and puts selected nerve endings into a type of hibernation. Currently only available in Canada and Europe, iovera works by precisely targeting the nerves that control the forehead muscles by temporarily deactivating signaling to the muscles and causes them to relax. This deactivation process reduces the appearance of dynamic forehead wrinkles. Effects are immediate and last about 3 months. https://iovera.com/patients/#how-it-works - It appears this treatment for facial muscles is off the board at this time.